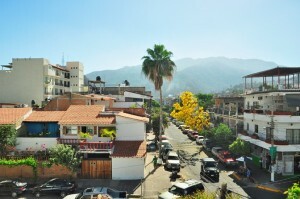 Casa Franca is located in the heart of Zona Romantica in Old Town Puerto Vallarta. There are two fully furnished, reasonably priced vacation rentals. Casa Franca is just a half block from the famous Los Muertos Beach and you can walk to many fine restaurants, gourmet delis, banks, shopping, Internet cafes, markets, and nightlife. Choose the Second Floor Studio or enjoy the two floor Penthouse with its wonderful mountain and sea views. Each unit has a fully equipped kitchen, sitting area, housekeeping services, cable TV, internet access, comfortable beds, ceiling fans, and private bathrooms. No matter which unit you may choose, you will receive the wonderful hospitality of the owner, Franca Leunens. To assure a quality stay, Franca only offers her units to mature respectful guests. Sorry no pets are allowed and smoking is only allowed on the balconies or the open terrace. To view more details, including rates of each of the units, click on the tabs above for either the 2nd Floor Studios or the Penthouse Unit. 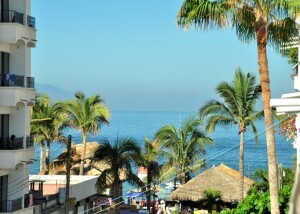 To see if a unit is available for your desired time of visit to Puerto Vallarta, click on the Availability tab. You will find contact information including an email form for questions and reservations under the Contact Information tab. A location map to Casa Franca can be found by clicking the Map tab. Find out the history of Casa Franca by clicking on the About Us tab. Puerto Vallarta is a wonderful place to visit any time of the year whether it is the winter season or the less crowded summer season; enjoy it by staying at Casa Franca.